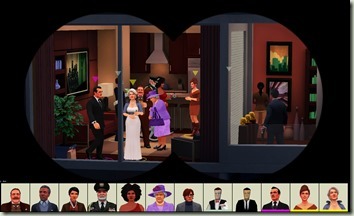 In SpyParty, you choose a side: spy or sniper. Then it's a battle of wits as one player tries to blend into a crowd of NPCs while the other tries to pick off her adversary before he can complete his objectives. SpyParty is just one of many gems we found at PAX West 2017 (read our full report). Got 5 minutes? You can hear all about SpyParty including a pro tip on how to choose your spy. You can download Busy Gamer Nation from our podcast page, on iTunes, or via RSS feed. Additional PAX game interviews are on the way including our show fave Donut County, Hello Neighbor, Battle Chef Brigade, and more. This page contains a single entry by Gamewatcher published on November 24, 2017 4:40 PM. Busy Gamer Streaming - 1st 30 mins of Prey was the previous entry in this blog. Busy Gamer Streaming - 1st 30 mins of Destiny 2: Curse of Osiris is the next entry in this blog.